Pilot International is pleased to announce an enhanced BrainMinders™ program for children, youth and older adults. Presentations to schools, civic organizations and senior living communities can be scheduled by calling 478-477-1208. BrainMinders™ is a signature program of Pilot International introduced in 2001. The program has been enhanced and is now available for Pilots and Anchors to use in their communities. Its educational and entertaining curriculum covers a broad span of brain health and safety topics. For children, the topics include personal fitness, bus safety, playground safety, seat belt use, fire safety, gun safety, bullying and more. For youth, parents and teachers, brain health and safety resources are now available on our Pilot website here. For older adults, the topics cover brain exercises and safety tips. 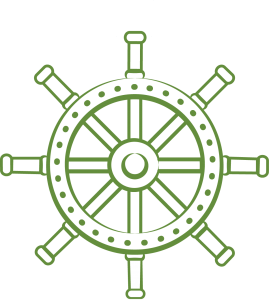 Pilot International is a community-based volunteer service organization founded in 1921 in Macon, GA on the principles of “Friendship and Service.” The name “Pilot” was inspired by the mighty riverboat pilots of that day who represented leadership and guidance. 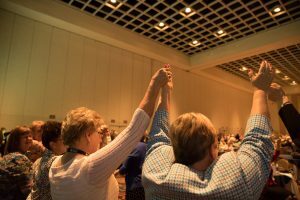 With more than 7,200 members in almost 300 Pilot Clubs, Pilots can be found across the U.S., the Bahamas, Japan and South Africa. Pilots carry out their mission to “Do More, Care More and Be More” by providing financial and hands-on support for national and local initiatives in keeping with its causes of youth development & leadership; brain safety & fitness; and caring for families in times of need. In addition, there are over 7,500 school-level Anchor Club members worldwide. Through a professionally developed curriculum and strategic partnerships, Pilot encourages and provides opportunities for youth development & leadership. Pilot International remains headquartered in Macon, where its staff serves its international constituency. Contact your local Pilot Club(s) to find out more about our friendship and service opportunities. 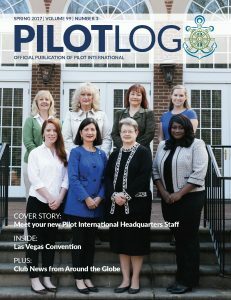 The 2017 SPRING issue of THE PILOT LOG is now available online! Pilot International, Inc. is pleased to announce the addition of three new staff. Tess Harper joins Pilot International as Communications Director. A graduate of Mercer University, she is responsible for internal and external communications and branding and marketing. Donna Rainwater is Anchor Specialist. Donna, a Georgia Southern graduate, is responsible for the operational success of the youth division of Pilot through Anchor Clubs in schools and communities internationally. Stephanie Calder joins Pilot as Membership Specialist, and is responsible for maintaining accurate international membership records. 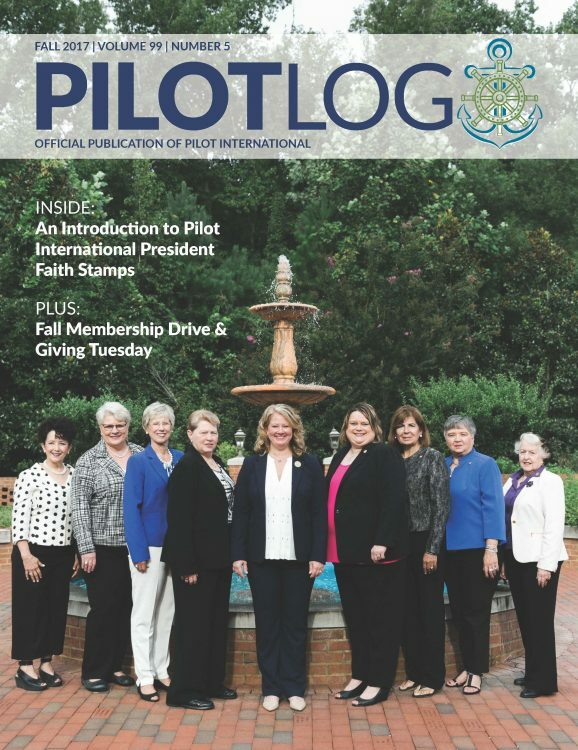 Pilot International is a community-based volunteer service organization founded in 1921 in Macon, GA on the principles of “Friendship and Service.” With more than 7,200 members in almost 300 Pilot Clubs, Pilots can be found across the U.S., the Bahamas, Japan and South Africa. Pilots carry out their mission to “Do More, Care More and Be More” by providing financial and hands-on support for national and local initiatives in keeping with its causes of youth development & leadership; brain safety & fitness; and caring for families in times of need. In addition, there are over 7,500 school-level Anchor Club members worldwide. Through a professionally developed curriculum and strategic partnerships, Pilot encourages and provides opportunities for youth development & leadership. Pilot remains headquartered in Macon, where its staff serves its international constituency. The name “Pilot” was inspired by the mighty riverboat pilots of that day who represented leadership and guidance. 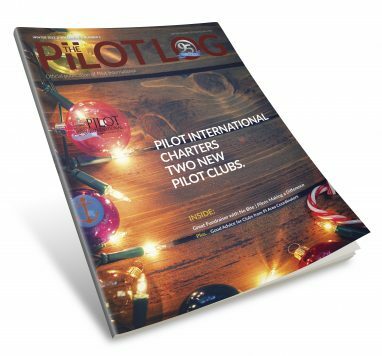 The 2017 WINTER issue of THE PILOT LOG, is available online now! Nancy White has joined the organization as Executive Director on December 12, 2016. Before joining us in the Pilot Family, Nancy White was the Administrator of the Macon-Bibb County Health Department, where she had previously served for 6 ½ years on its Board. A Registered Nurse, she is a Fellow in the American College of Healthcare Executives. Nancy’s professional career includes healthcare operations, new business development, marketing and public relations, government affairs and public health. Prior to joining the Health Department, she served over four years as Director of Oncology Services for the Medical Center of Central Georgia. Prior to that, she worked at the Coliseum Health System in a variety of capacities for 18 years, including Director of Government Relations, Director of Senior Health Services and Director of the Diabetes Management Center. Nancy was elected to Macon City Council in 2006 and was elected two additional times to serve through 2013. In 2008 she was appointed by Mayor Robert Reichert to the Bibb County Board of Health. 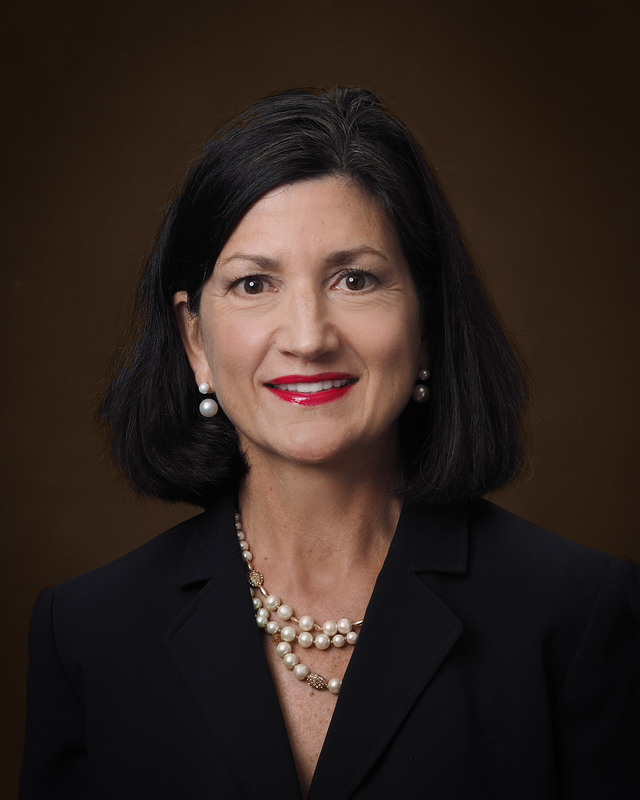 She also served on the Macon General Employees’ Pension Board, Public Safety, Employee Development and Compensation, and Appropriations Committees; and served as Chair of the Rules Committee. She was the Appropriations designee to the Macon-Bibb County Convention and Visitors Bureau. Nancy volunteers in Macon Rotary Club/Board member three times; DFCS Board; Macon Symphony Orchestra Board; Clayton and Carol Paul Fund for Animal Welfare Board/Community Foundation; Hutchings Career Center Advisory Board and Central Georgia Go Red for Women Executive Leadership Team. Nancy has an Associate’s degree in Nursing, Bachelor’s degree in English, Master’s degree in Professional Communications and anticipates completing a Master of Public Administration by mid-2017. She is a member of the Macon Symphony Orchestra Board, the Clayton Paul Animal Welfare Foundation, and the Department of Family and Children Services Board. She currently serves as a Board member for the Rotary Club of Macon. She and her husband Jeff have a 23-year old son and are active at Christ Episcopal Church. Nancy belongs to two book clubs and enjoys running and gardening. Nancy is the daughter of Hubert and Bettie Addleton of Macon, career Baptist missionaries to Pakistan. Nancy was born in Pakistan, the youngest of three children and attended boarding school there while growing up.